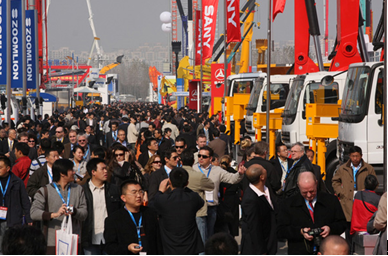 Stand area of this year’s Bauma China reached 210,000㎡. Around 1580 exhibitors from more than 30 countries displayed their products and services. As one of the best enterprises in engineering machinery field, Beijing Jingcheng Heavy Industry fully exhibited its strength and brand at the exhibition. 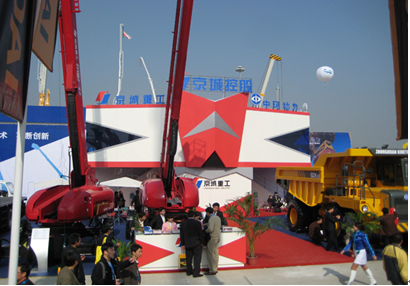 Jingcheng Heavy Industry had two stands at Bauma China 2008. 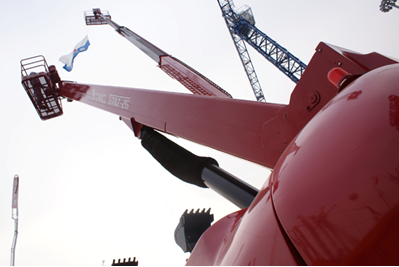 The outdoor one, the area of which was 594 ㎡, displayed three truck crane chassis and two self-propelled boom lifts. As the representative products of JCHI’s aerial working platform, GTBZ26 and GTBZ32 received consistent positive praises from the insiders. 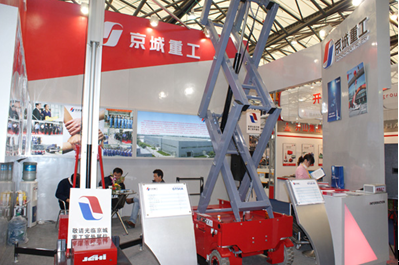 The indoor stand, the area of which was 30㎡，displayed self-propelled scissor lift GTJZ08 and Sleeve aerial work platform GTS6A. 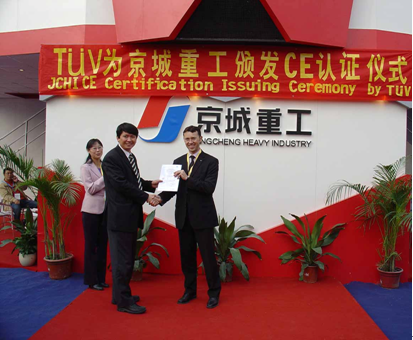 Self-propelled scissor lift GTJZ series obtained its CE certificate issued by TUV at the exhibition.